Department of Public Libraries Government Job Circular 2018. This gov. job circular has been officially published on the official website of the Department of Public Libraries (DPL) by the authority. You can also get new government jobs and educational news on GreenEduBlog.com. 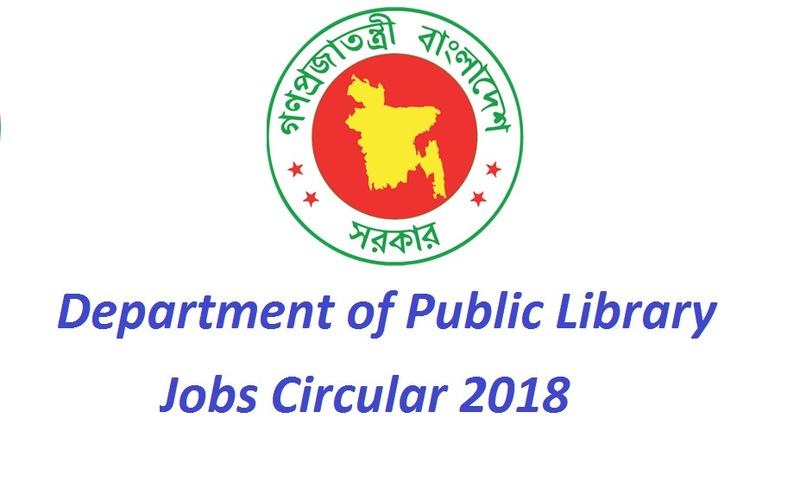 The Department of Public Library published new jobs circular for 53 posts around Bangladesh. Honours pass students can apply for this job of Department of Public Libraries job circular 2018. To apply, you must have to complete your public library job application before 28 February 2018 at 05:00 PM. If you interested in this post, Please follow our total information about Public Library Government Job Circular 2018. Our total information is given below. Application Fee: 50- 100 BDT. Candidates must have to apply by the post office of Department of Public Library government job circular 2018. To apply, please visit the official website Department of Public Libraries. Please bookmarks this page to get all latest updates of Department of Public Library government job circular 2018, Department of Public Libraries Requitment Circular 2018, Department of Public Library Statistics and others related information on our website. If you like our work, Please share this post with your friend’s circle and others people so that they can apply for Department of Public Library government job circular 2018. You can also LIKE US ON FACEBOOK to get all updates news on your timeline.